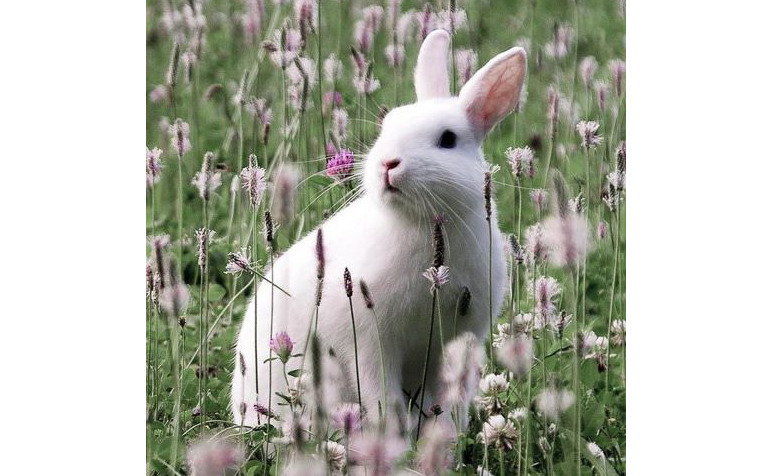 When it comes to Bunnies, it is often a little harder to tell exactly what is going on in their minds, and while they might not express themselves through facial movements as much as Dogs or Cats, behavioural patterns and sounds have enabled Veterinarians and Behaviourists to better understand these fragile and intriguing creatures. 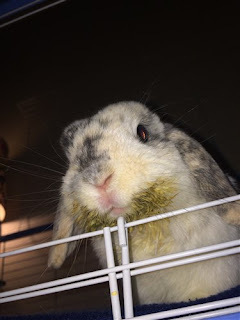 Are there ways you can tell if your Rabbit is ill? 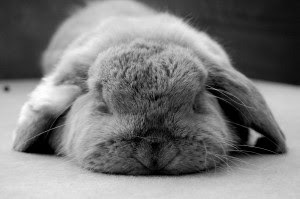 Of course there is, and this article is a compilation of research on tell-tale signs that may indicate your Bunny is unwell. Monitoring their usual behaviour is the first step to actually catching anything amiss when it happens. However it is important not to jump to conclusions too quickly, if you notice more than one sign, then it should warrant a visit to the Vet. 1. Loss Of Appetite — This point applies to every living creature, we need food to survive and for energy, but when we are depressed or sad, most of us shun away from food, and for Rabbits, water is also part of that equation. 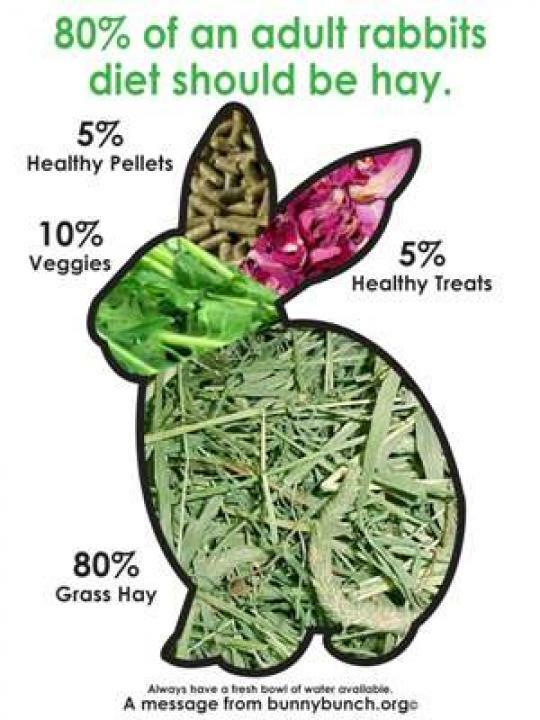 Loss of appetite is a huge indicator that your Rabbit may be ill, so keep a close watch on their daily intakes. A sudden increase in water and food intake also indicates an underlying problem. 2. In-activeness And Lethargy — Bunnies are naturally inquisitive about their surroundings, and most of them take interest in fresh hay, exploring, and treats! 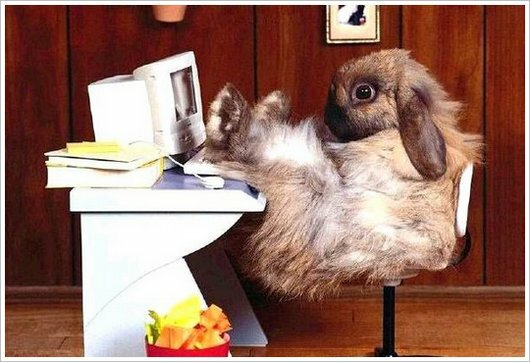 So if you notice your Bun losing interest in almost everything he/she once enjoyed so much, and just refusing to get up, it could be an indication that he/she is feeling unwell or in pain. 3. Teeth Grinding — This is not to be mistaken with “purring” when you cuddle your Bun, this form of teeth grinding is much louder, with grunts and snorts. Something is making your Rabbit uncomfortable and cranky. 4. Body Temperature — A proper way to measure your Rabbit’s temperature is by using a rectal thermometer, of course it may not be very comfortable and not everyone is familiar with administering it the right way. However, a Rabbit’s temperature can also be regulated through their Ears, if they seem too warm, they could be having a fever. Too cold is not good either. 5. Wet Chin & Drool — Drooling and being wet are two things that do not strike as normal for our Bun pals. Experts have advised that this could highly be related to teeth problems, which also leads to poor appetite and losing the ability to chew and munch on hard foods. 6. 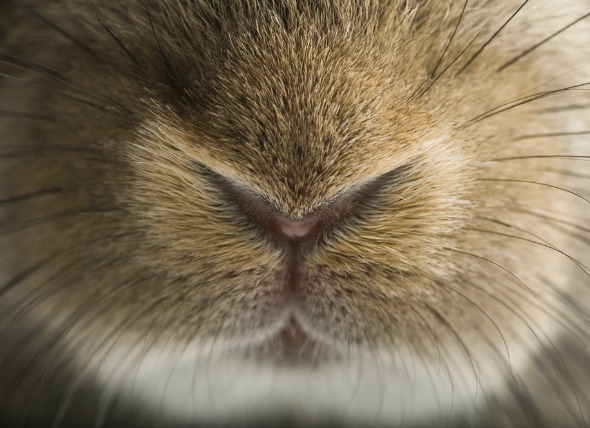 Loud Breathing — Bunnies should only breathe through their noses, so if you notice your Bun breathing loudly through their mouths, it is not normal. Keep an eye out for watery eyes, nose, and chronic sneezing. It could be due to allergies or even respiratory infection. 7. Droppings — Rabbits should have urine that has no traces of blood, and regular rounded, pellet-like looking stool. Irregularities would include, diarrhoea, out of shape, excessive fur or hair stuck to it. 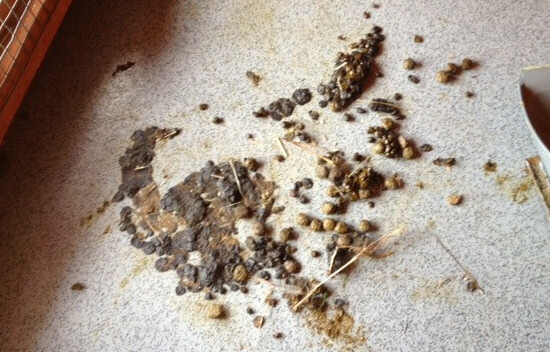 The output in the litter-tray says a lot about your Bun’s health, so keep a close eye on it. 8. Severe Weight Loss And Bloat — Keep track of your Rabbit’s weight whenever you can, because a sudden loss of weight or in very severe cases of Gastrointestinal Stasis, can also cause a Rabbit’s tummy to bloat. 9. Coat Health — A healthy coat of fur and hair should not have patches missing nor reddish skin underneath. This could be due to bad loo habits, in which you should practice cleaning their hindquarters and genital areas often and avoid urine burns and infection. There should not be any lumps in their bodies too, you should visit a Vet for medical help immediately. 10. Imbalanced Movement — This is usually referred to wry neck, usually cause by an ear infection. If you notice them leaning on one side more than the other while moving about, they could be suffering from sore hocks. 1. 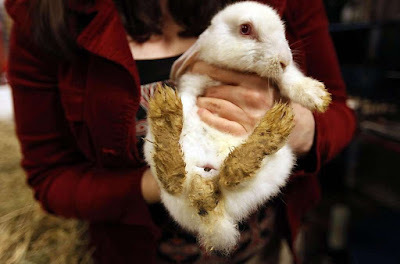 Visit The Veterinarian —To determine the issue with your Bun, you should always make a trip to your trusted Veterinarian that is specialised with Rabbits and small animals. From there, you can begin proper treatment at an early stage for your Bun. 2. 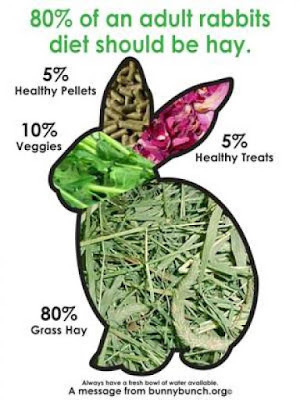 Diet Plan — Ensure your Pets have a daily diet of 80% Fresh Hay, 5% of Pellets and 10% Fresh Green leafy vegetables, and 5% or less occasional treat of fresh fruits. 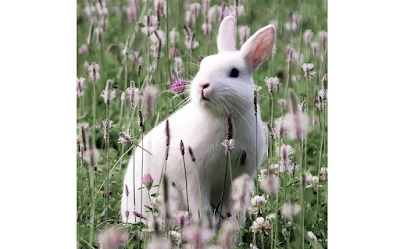 For a simple guideline of Rabbit safe foods, view here. 3. Time & Attention — Pay more attention to them for bonding and developing trust, and also ensure their space and surroundings are always clean. If you Bun needs medication, be sure to keep up with a schedule of routine cleaning of wounds and applying medication. 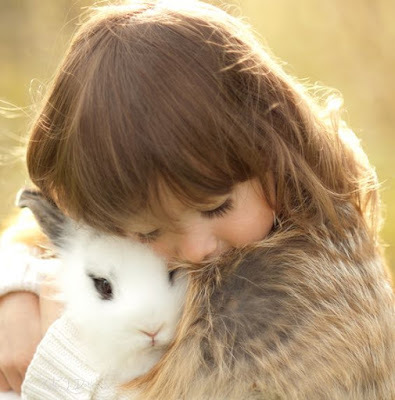 Our Bunny pals deserve as much love and care from their owners. 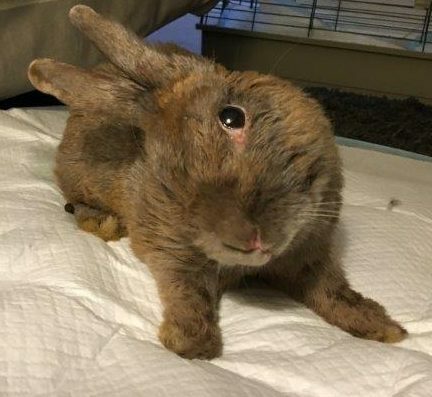 Lots of owners have bonded with their Buns in much more ways than one, and studies have also shown how rewarding having a close relationship with your Rabbit could be. So don’t take their silence for granted, spend more time to study and understand their daily behaviour with lots of love and patience, and keep them healthy and safe! Got a tip to share? We’d love to share them with the world! Your voices are important to us and the Pets community! Our readers are encouraged to share their Pet-related reviews of a place and its services, experiences, even lifestyle tips and tricks to better our Pets lives, on our platform, one paw at a time. Be a part of an educational and informative Pets community because at ThePetsDialogue, your voices could make a huge difference on a global scale.